What are the odds? 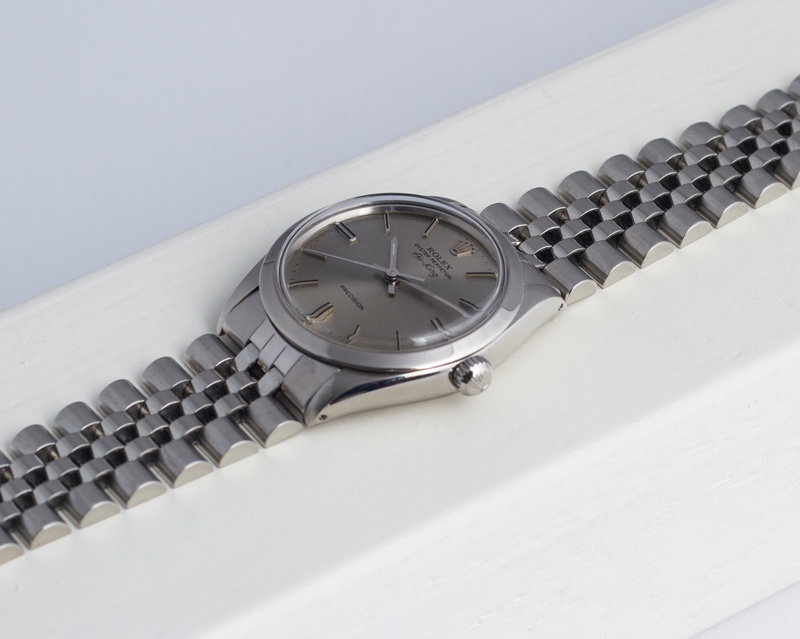 Another Air-King on a 19mm Jubilee bracelet! 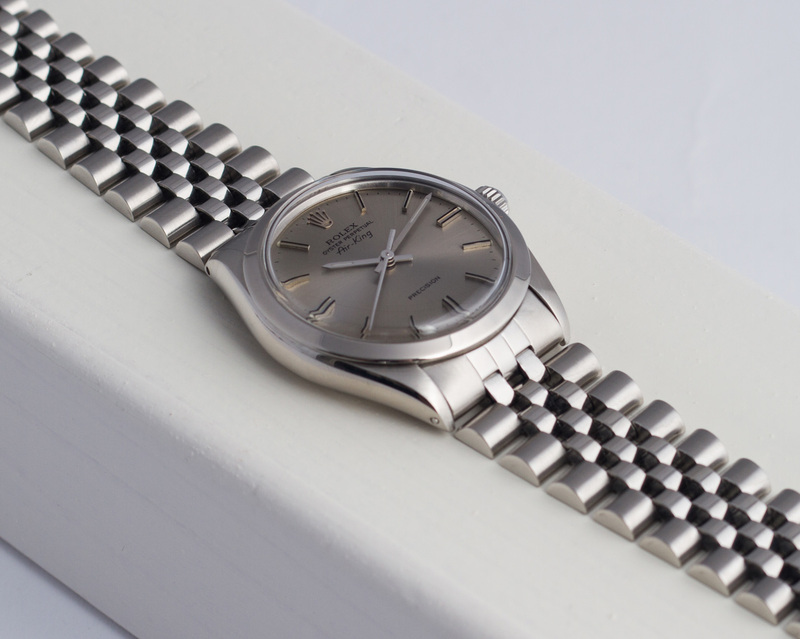 These 19mm Jubilee bracelets are pretty rare as most Air-Kings were delivered and sold on 19mm Oyster bracelets. With different numbered end links, this Jubilee bracelet would fit a vintage 1960’s Daytona… but on this vintage Air-King it looks equally cool! The Jubilee bracelet is in a wonderful condition and shows very little stretch. 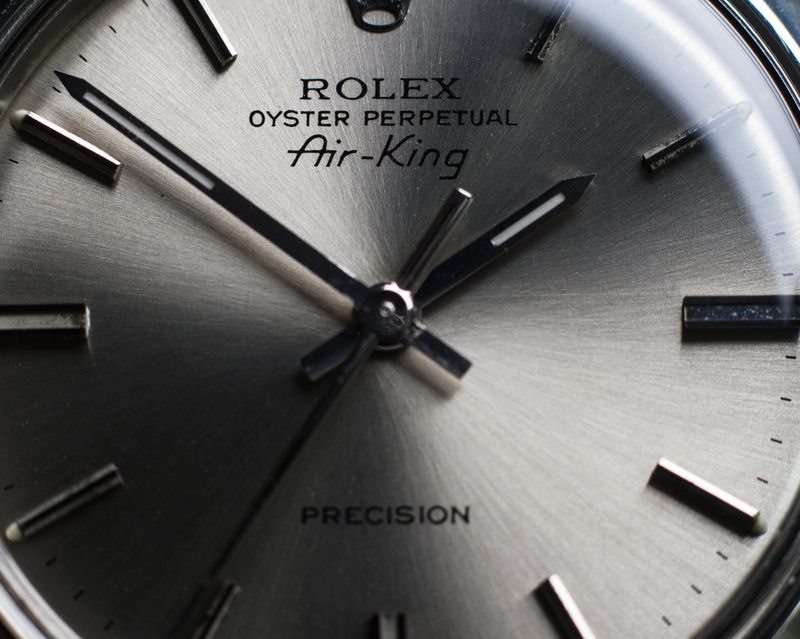 The dial looks amazing in daylight and the sunburst finish on the dial shows different shades of grey! 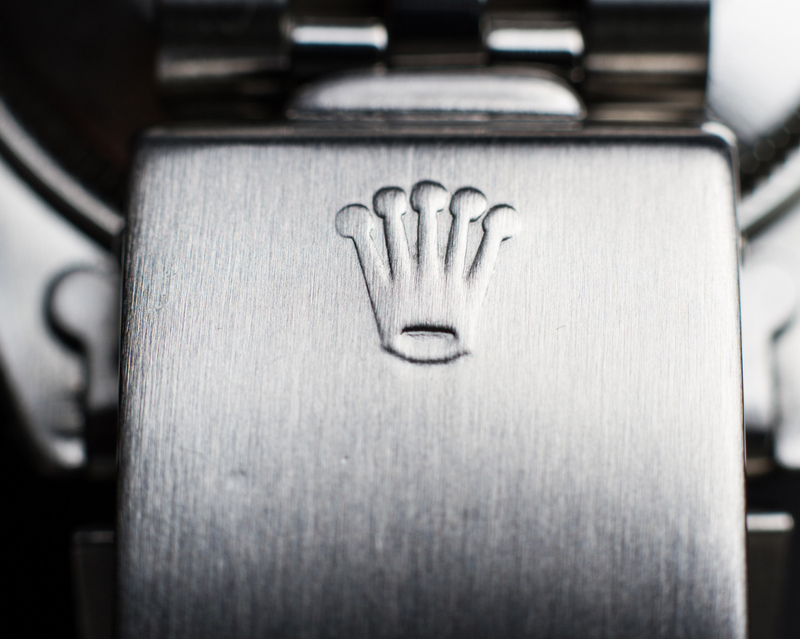 The entire watch is simply in a solid condition. 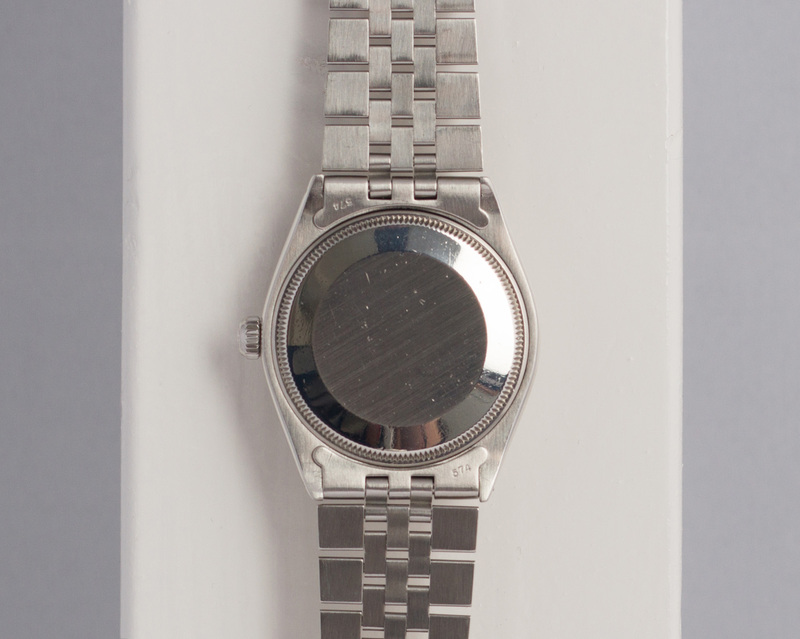 Great case – wonderful bracelet with little stretch and a beautiful grey colored sunburst dial. 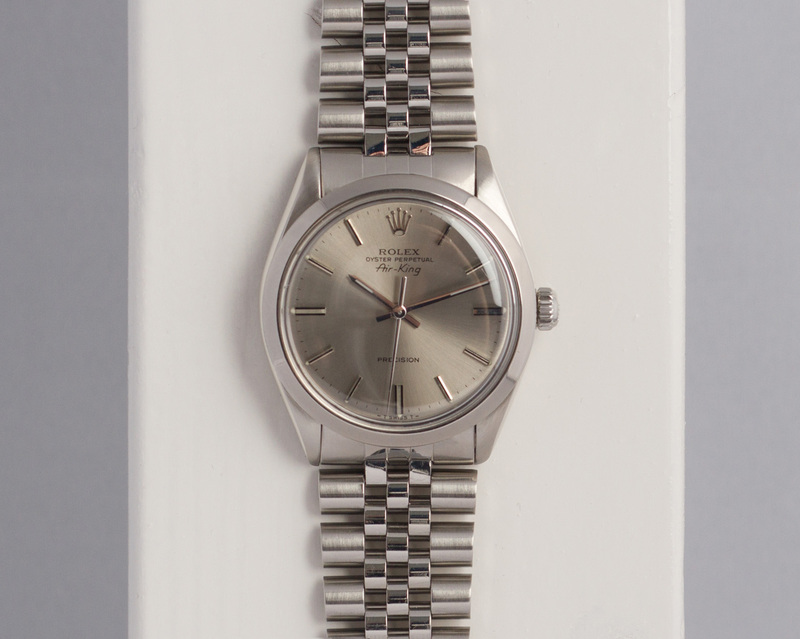 This 1979 Air-King has been fully serviced by our watchmakers and comes with a 12 month warranty.